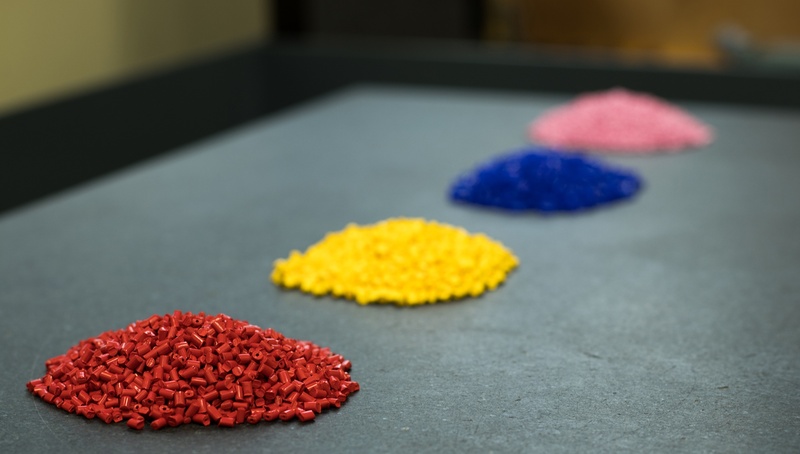 Do you need help determining the proper material for your plastic parts? Get access to thousands of injection molding materials by prototyping with the Engineering Resource Center. Our sampling process allows you to trial up to 3 materials at a time. Our engineers can guide you through the material selection process to ensure the strength and quality of your part. We can help you reduce manufacturing costs by lowering the amount of material used, without compromising quality. Your prototype will be optimized for production, and information gathered from the build process is saved and used for future tooling, if necessary. What goes into selecting a tool material? Proper injection molding material selection is critical in prototyping and low-volume part production. When selecting materials, it is important to consider the mechanical properties, moldability characteristics, and cost of the material. Selecting the correct material for each application hinges on a thorough understanding of resin type and grade. Different materials offer varying degrees of strength, rigidity, flexibility, and function for part assemblies. The prototype stage will help you determine the best material for your prototype project. Your heart may be set on using a specific plastic material - until you test it and realize that a different material performs better at a lower cost for your particular application. Our engineers will never ask you to compromise on a specified material request. However, we will guide you through the material selection process with the goal of choosing the material most suitable for your part. Contact The Engineering Resource Center for further assistance with your plastic injection molding material and injection molding resin needs.